Credit: NAMCO BANDAI Games Inc. 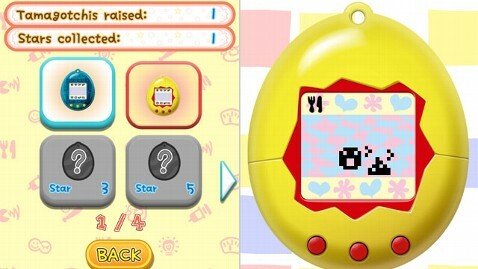 The popular '90s toy Tamagotchi is enjoying its Sweet 16 this year, and its creator, Bandai America Inc., says "we're giving you the gift" with today's release of a new Android app based on the original virtual pet. In case you missed the craze, a Tamagotchi was a cute egg-shaped electronic toy that thrived - or didn't - depending on how much attention you gave it. The free app is called Tamagotchi L.i.f.e (Love Is Fun Everywhere), and it's now available in the Google Play Store for your Android smartphone or tablet. The gameplay is split into two different modes or views - a "TOY Mode" that emulates the original toy (complete with virtual representation of the plastic shell and 3 buttons) and a new full-screen, touch-screen-friendly mode. With "TOY Mode," Bandai looks to cater to the now-all-grown-up children of the '90s, saying you can "play the original game, which was introduced 16 years ago, and raise your Tamagotchi the same way you did when you were just a kid!" That, of course, means making sure your electronic creature doesn't die over and over again. The app also offers all sorts of new features, meant to make it very "now." You can link with Facebook to share your pets online, keep a virtual collection of multiple pets at once, and earn stars along the way to unlock new wallpapers and virtual shells. 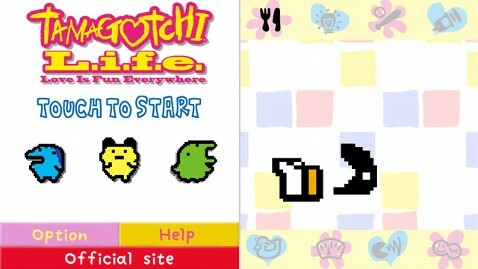 The app even features color Tamagotchi pets and a beautiful, gesture-based user interface. According to Bandai's Tamagotchi L.i.f.e. Blog, the app will soon also be available for Apple's iOS devices. The original Tamagotchi - over 78 million of which were sold - was "named by melding the Japanese word for egg, 'tamago,' with the English language word 'watch,'" according to Bandai. The company says that "fans who grew up with Tamagotchi are, today, positive, assured, intrepid, cooperative and empowering, much like the attributes of the brand's namesake." Are you sure, Bandai, you don't remember those fans neglecting their virtual toys over and over again?